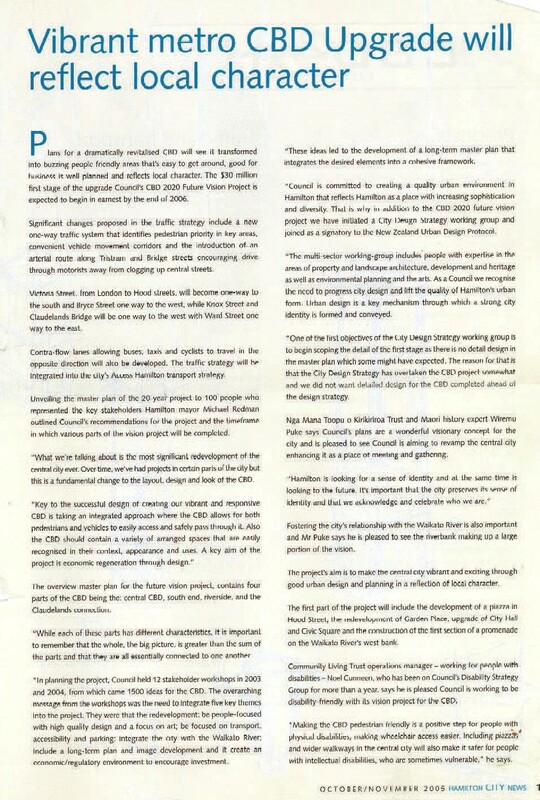 City news Oct/Nov 2005 headline: ‘Vibrant metro CBD upgrade will reflect local character’. 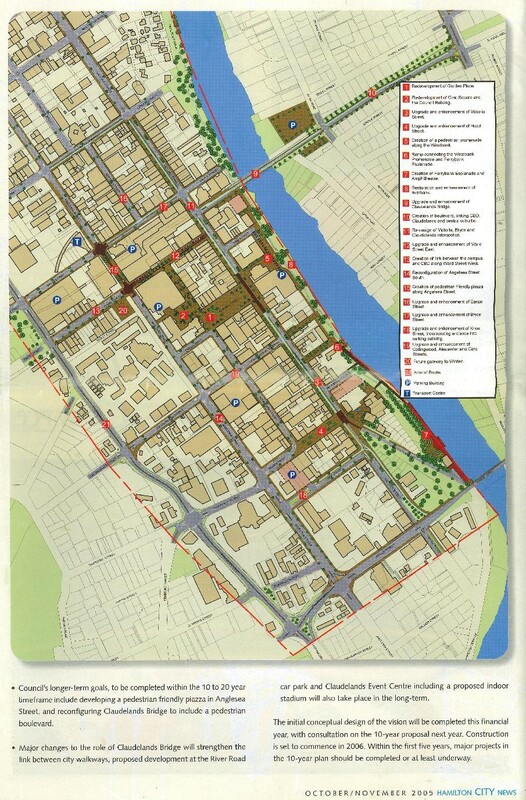 In this plan Ward St is in ‘The retail precinct, bordered by London, Anglesea, Bryce, Nisbet, Collingwood and Victoria streets, [which] will include boutique stores, retail and inner city living (24/7 population presence – see text in image), with the education precinct the block home to Wintec’. 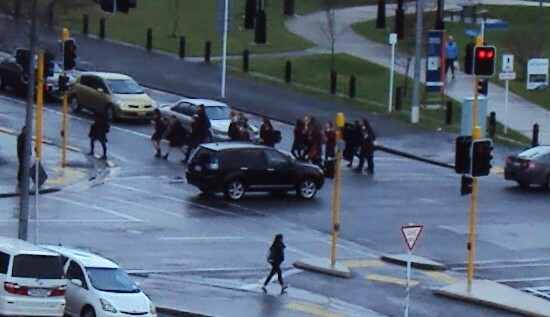 This education precinct is odd, since the 1,700 Girls’ High students are not included in the future vision. 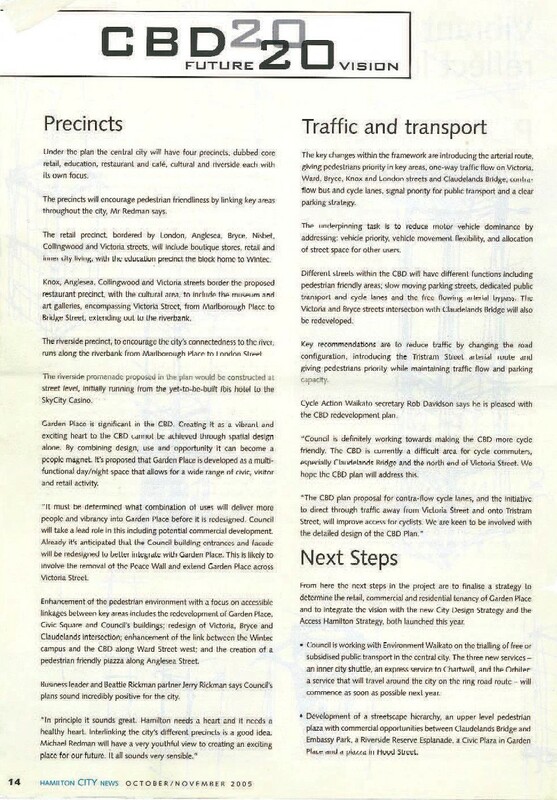 The focus of this post is the statement that promises ‘Enhancement of the pedestrian environment with a focus on accessible linkage between key areas includes the redevelopment of Garden Place, Civic Square … enhancement of link between the Wintec campus and CBD along Ward Street west, and the creation of a pedestrian friendly piazza along Anglesea Street’ (from City News 2005). 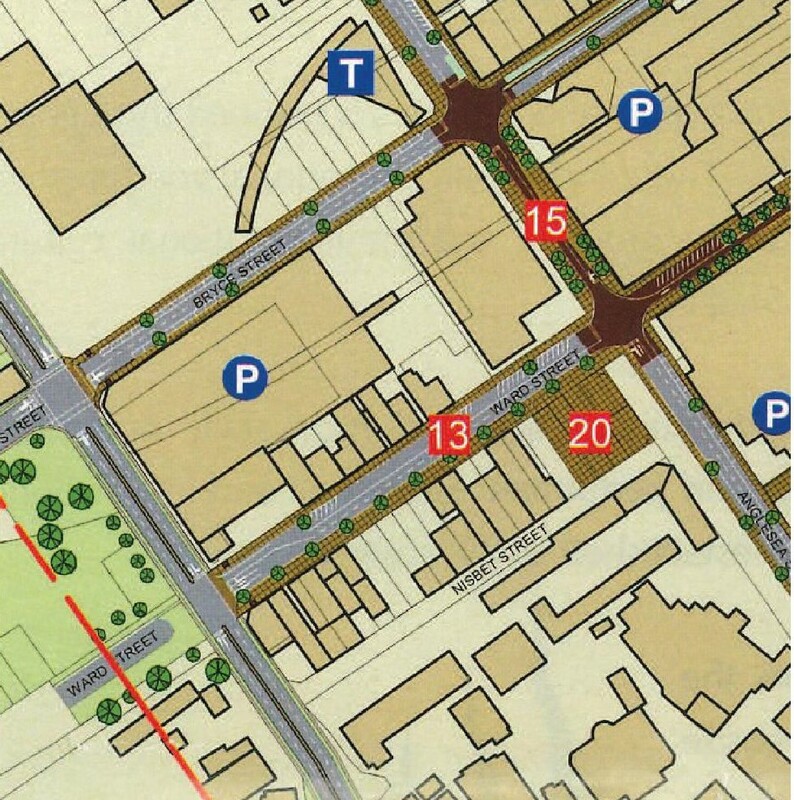 Firstly, the future envisioned by the Future 2020 Vision team also shows trees on south side of Ward St, as in the Stark Concept and ViaStrada’s idea. 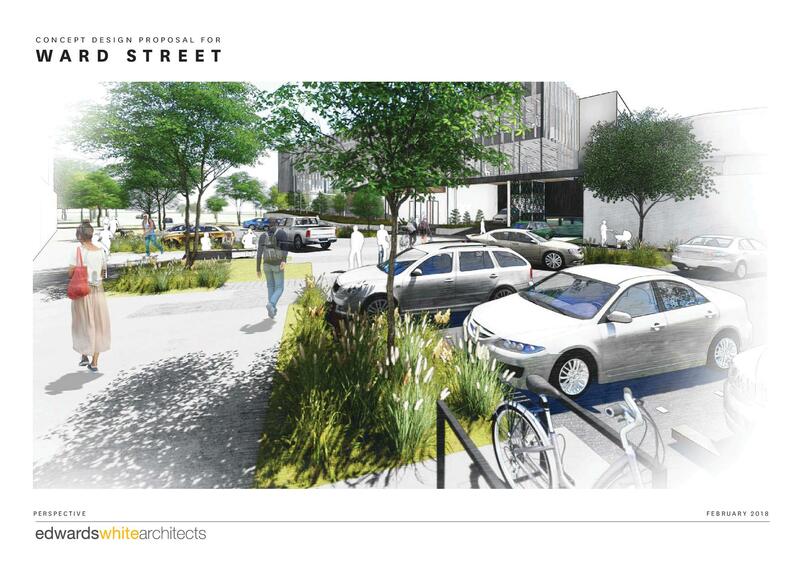 I’d suggest the Edward White Architect should just go and plant a tree on Ward St, where it suits his/her plan. I like the way the Stark concept allows Ward St to have a gateway to/from Tristram St; it nicely reinforces that inside, Ward St is a place, where you can take your time and relax. Where the CBD Future 2020 Vision (2020) and ViaStrada ideas are ahead of the Stark Concept is we can see detailed link from Girls’ High to/from Ward Park of the needed better pedestrian priority, which should have happened as part of the Western Rail Trail (WRT) project (the Girls’ High bike parking stand is a WRT destination). 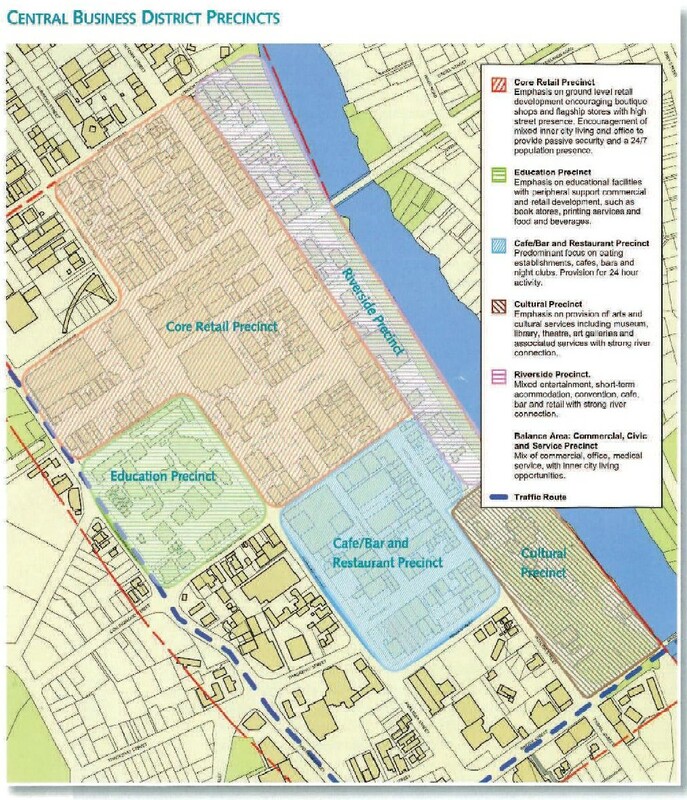 The 2020 plan goes furthest by giving people walking and biking right of way across Ward St west of Tristram St. ViaStrada gives a refuge island.